J.Kaye has started this weekly event to talk about what books you completed in the past week, what books you are currently reading and books to finish this week. I decided to join in and hopefully it will keep me on track. The Girl She Used To Be by David Cristofano, courtesy of Hachette Book Group. Click on the title for my review. The Uncommon Reader by Alan Bennett. This was part of the Martel-Harper Challenge for the first quarter. Click on the title for my review. Fireproof by Eric Wilson - Christian Readers Challenge. To be Reviewed. Hadassah by Tommy Tenney - Just finished this one last night and totally enjoyed it. Both are for the Christian Readers Challenge and complete the challenge for me. Both will be reviewed sometime this week. Allison Brennan's Killing Fear and Playing Dead - both for Series to Finish Challenge. I'll be typing up a review sometime this week. Seven Storey Mountain by Thomas Merton. I really need to concentrate on reading this one. Very wordy but really want to finish it before the end of the week and the start of Spring Reading Challenge. Not sure if I will finish it, but we'll see. The House of Mirth by Edith Wharton. Part of Dewey's Books reading Challenge. Death of Ivan Ilych by Leo Tolstoy. 1st quarter read and a novella for the Martel- Harper Challenge. E-Book French Bred by Frederick Guarino courtesy of Mr. Guarino. 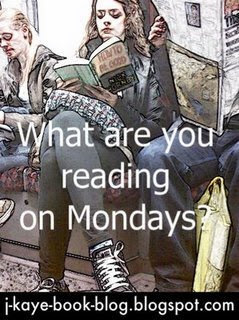 To join in on It's Monday, What are you reading links, head on over to J.Kaye's Book Blog. I recently read Wharton's Age of Innocence and loved it, so now I'm thinking of trying The House of Mirth, too. I was supposed to read that one in high school, but never got past page 10. Better late than never, though. I really liked The Girl She Used to Be. Great story and I loved the writing. Great and inspiring list of books of which I don't know a single one....Thanks for the inspiration. I'm reading Part 3 of Gone with the Wind and a recent release, The Rose Variations.